Meaning of Getting a Trademark? If Someone Uses It Without My Consent? A: They’ll Be Liable for Infringement of Your Mark. All in All, What Trademark Brings Me? EXCLUSIVE BENEFITS FOR TRADEMARK OWNER? 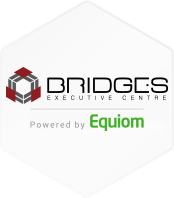 Bridges Executive Centre has over 10 years of experience in managing our client’s trademark registration process. The vast experience of our team enables us to handle your intellectual property applications in the most accurate and quickest way, and our proficient consultant here will be the one who walks you through the process with practical advice and expertise. Click here to read our hot Trademark Blog to get more tips sharing. It gives you the exclusive right to use your company name / logo. It allows you to take legal action against anyone who infringes your right. It entitles you to use the ® symbol. Early registration can prevent others from registering your trademark in your preferred category. A registered trademark is the most valuable asset in your company. Your business name or appearance of your product is probably one of the most valuable assets foryou. We’ve prepared some hints here for you to consider before making the decision. It normally takes around 9 months to complete the whole process. The first trademark registration is effective for 10 years, and it can be renewed for 10 years each time. There are 45 classes under the international classification of good and services for the purposes of the registration of marks, and HK is in line with these classifications. You can pick at least one class to start the registration (e.g. Class 5 - food for babies; Class 44 - hygienic and beauty care; etc.). Feel free to download the full list of HK Trademark Classification here to know what classes are available and could be suitable for you. Or, our experienced consultant can advise you on how to select the appropriate class for your products / services, and how many class(es) is good for you to pick. It is suggested that during the start of your product or service development, you can kickstart your trademark registration at the same time (it takes around 9 months to finish thus better start as soon as possible) so your registered trademark will be ready to serve along with your product launch, as you might know it is very important to eliminate the chance of plagiarism in the Asia market. As mentioned, your registered trademark can be used for 10 years, making the whole registration highly worthwhile for owning the exclusive right at only dozens of HK dollars per month. Can I just pass you my company name for trademark registration? Besides the company name, please send us your graphic logo too for registration together with the name text. If you do not have a logo yet, no worries, simply let us know your preliminary ideas and we can handle the logo preparation part for you. Mainly there are just a few simple steps to kick off the registration: 1. File the Application; 2. Deficiencies Checking; 3. Search & Examination; 4. Ojectiones (this process may or may not exist); 5. Registration (this is where your company's name or product's name is officially registered and under the lawful protection). How many classes should I register? More is better? It usually depends on the nature of your company or products to define which class(es) of trademark to apply is the best. Some classes are for protecting the tangible goods, meaning the products that could be physically replicated by just amending the company's logo to resell for profits; some classes are for protecting intangible goods, like some inventions or theory, etc. People may think it’s good to go for more protection, yet registering a trademark for more classes will lead to an increased cost, and it may not be a smart move. Knowing how to select the most appropriate class(es) for your business is crucial to prevent unnecessary spending. Thus, it is usually preferable to check with a proficient advisor and see which category is your best fit. Check out our hot blog here to learn more & get ready! Getting your logo ready asap is essential for a start-up. Simply pass us your name and figurative ideas, and we’ll do the rest. Even if you are not always in HK, we can help maintain all your corporate compliance duties like co. secretary, tax reporting, etc. Act Now & Start It Right! Maximizes Payoff @ Initial Stage?